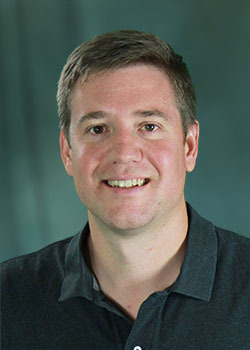 Dr. Ryan S. Glasby is a computational engineer at the University of Tennessee Joint Institute for Computational Sciences (JICS) located at Oak Ridge National Laboratory (ORNL). Dr. Glasby received his Ph. D. in Computational Engineering in August of 2011 from the University of Tennessee at Chattanooga National Center for Computational Engineering. Dr. Glasby’s research advisor is Dr. W. Kyle Anderson, and Dr. Glasby’s research interests include algorithm development for higher-order unstructured computational fluid dynamics (CFD) applications, modern software engineering methodologies, and higher-order mesh generation. Dr. Glasby is currently the lead developer for the HPCMP CREATETM-AV next generation flow solver initiative. The purpose of this initiative is to generate higher-order accurate, robust, physics-based software while applying state of the art software engineering methodologies that provide high-fidelity numerical solutions to CFD applications of relevance to the Department of Defense (DoD).